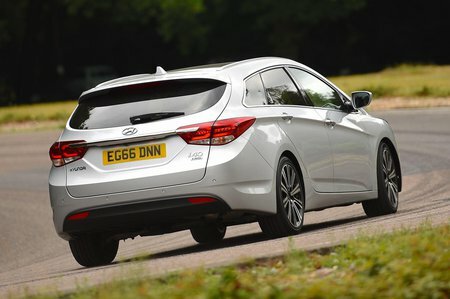 Hyundai i40 Premium Review and Deals 2019 | What Car? Range-topping trim gets 18in alloys, rear side airbags, lane departure warning, a panoramic sunroof and an LCD colour driver info display over SE Nav Business. We still think SE Nav is the best place to put your money, though.